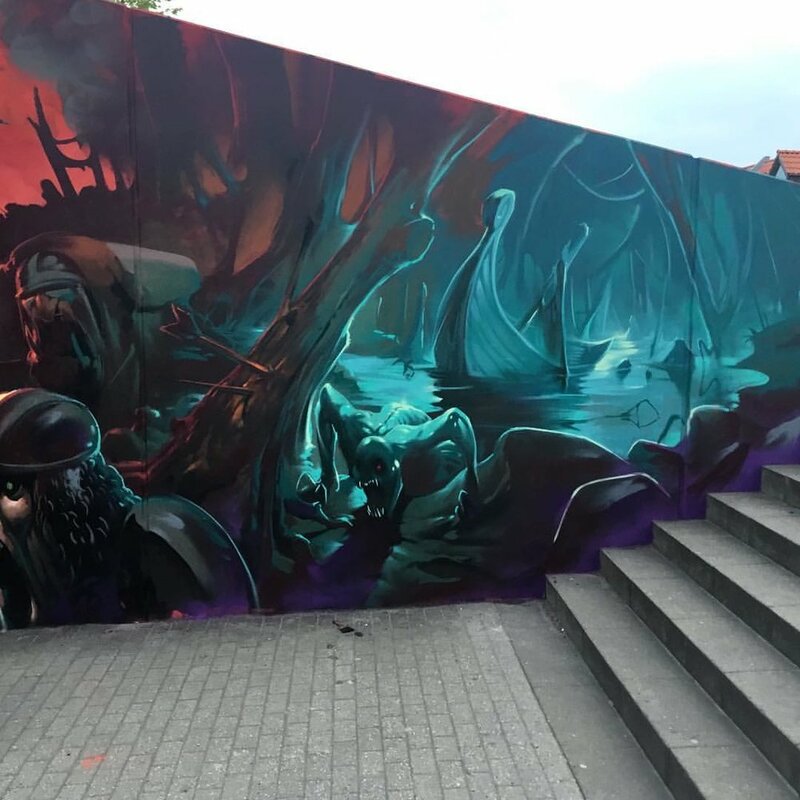 The renowned Copenhagen based artist Rasmus Balstrøm has trough the years as a street artist refined his unique style. He is world renowned for his technique and his diverse expression, which ranges from fantasy universes and political statements. Balstrøm sees it as his responsibility to question the current subjects of conversation and to get the audience to laugh instead of pointing fingers. The art of Rasmus Balstrøm is often humoristic and at times rebellious in expression, which pushes the boundaries of the audience. Balstrøm was recently showcased at one of the biggest street art museums in Amsterdam and has earlier worked with some of the biggest legends of street art, like OBEY and Jeff Hamilton.